Your sewer line is responsible for transporting all the drainage and waste that comes from your home to the city lines. Therefore, it’s important to make sure the main drainage pipe is in good condition. There are a lot of things that can cause your main sewer line to need repairs. 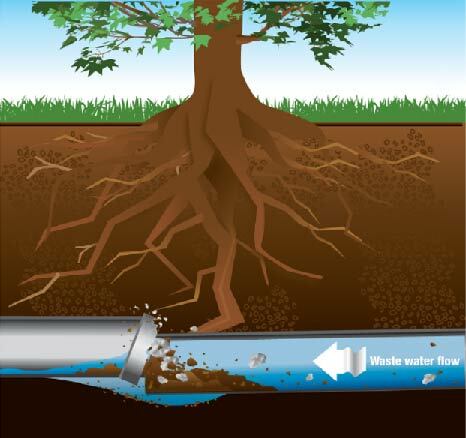 If you have trees on your property the roots can grow far enough to break through or shift the position of the pipe causing your drainage to back up every time you flush your toilet or run water down the sink. Your home’s main sewer line needs to be precise in order to work properly. it needs to be steep enough for both the liquid and more solid drainage to flow at the same rate. Shifting soil and other factors can cause your sewer line to shift off grade and impact the way it drains. There are many factors, both in your control and out of your control that can cause damage to your main sewer line resulting in an actual clogged drain or the appearance of your main sewer line being clogged. Mainline sewer repair is the right choice for you if your current main drain is properly sized for your home and if the untouched section of the main sewer line has reasonable life expectancy compared to the repaired area. 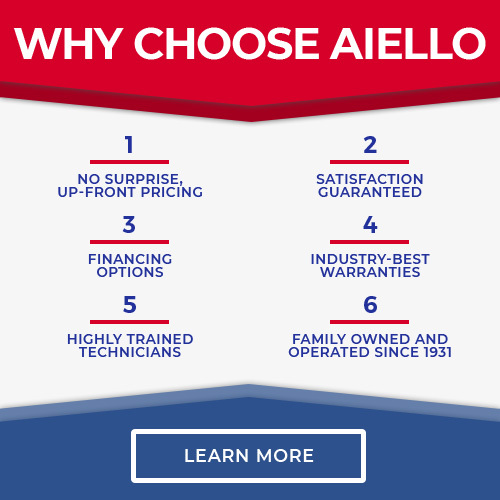 Aiello Home Services are the experts on main sewer line service in Connecticut! Schedule Your Main Sewer Line Repair Today! Don’t Wait Till the Main Sewer Line Damage Gets Worse! While sewer line problems may start small, a tiny leak in a pipe can erode the soil around the main line causing major shifts. If you notice a change in how fast your home drains, it’s better to catch the problem early while the main sewer line can still be repaired. By catching the problem early the cost of repairing a main sewer line can be significantly lower than replacement. When You Need Main Sewer Line Repair, Aiello is Here! We can provide a free quote so you don’t have to wonder what it costs to repair your sewer line. When you need help with your sewer line or other plumbing problems, Aiello is there to help! Our technicians are all certified and trained to handle any plumbing service or repair so you have confidence that the job will be done right the first time! you can easily reach us at 855-569-9576 or contact us online and we’ll be there to handle any plumbing issue!